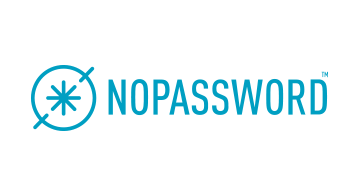 NoPassword offers the next generation of Identity and Access Management (IAM) solution that substitute passwords with Human and Hidden Multi-Factor Authentication (H2MFA). Instead of using static passwords, NoPassword uses local biometric authentication (Face, Voice, Fingerprint, Iris and Behavior) on the user’s smartphone then extracts hidden features from the phone, without interrupting the user. NoPassword Artificial Intelligence (AI) driven authentication also offers adaptive and contextual authentication for continuously authenticated the user based on behavior, risk based, and granular access management. ADVANTAGE: NoPassword does not store any credentials (passwords or biometrics) on a centralized database nor requires users to manually enter credentials. This means there are no servers with passwords or biometrics for remote cyber attackers to steal millions of users’ credentials. Since users don’t need to manually enter credentials, NoPassword eliminates attacks, such as phishing, social engineering and key-loggers, which primarily target passwords. CUSTOMER USE CASE: NoPassword consumer solutions allows for a simple, easy, and secure access to mobile and web applications. Benefits include: faster access to account, more customer engagement, less service interruption, reduction in account reset request, more logins on mobile and web, user satisfaction, and increase in revenue. WORKFORCE USE CASE: NoPassword workforce solution works with existing enterprise environment - no rip and tear required. Once integrated, it can eliminate the need of passwords and second factors for all enterprise resources. NoPassword works with cloud and web applications, legacy applications, mobile applications within MDM container, legacy applications, remote desktops, workstations/computers, and Wi-Fi; and deployed on cloud or on-prem. Benefits include: Boost workforce productivity, no more password reset request, and reduction in IT overhead.